A city full of palaces, really good museums, cozy cafes, and exquisite imperial style. Yes, I’m talking about Vienna, one of the most interesting cities in Europe! The second largest German-speaking city in the world after Berlin, Vienna is often considered the world’s best city to live in. 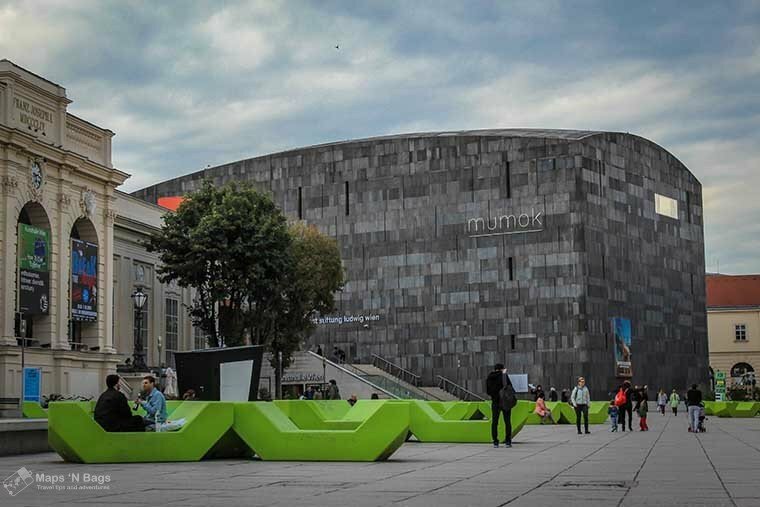 You’ll certainly find a lot of things to do in Vienna, especially cultural related activities – the city has some of the best museums in Europe! Most people who come to Austrian capital also visit other nearby capitals in Central Europe because they are pretty close to each other. And I have to say: they are also pretty different from each other, architecture and culture-wise, what makes each city unique! Anyways, we spent 3 days in the city and I made an itinerary of things you just can’t miss here! 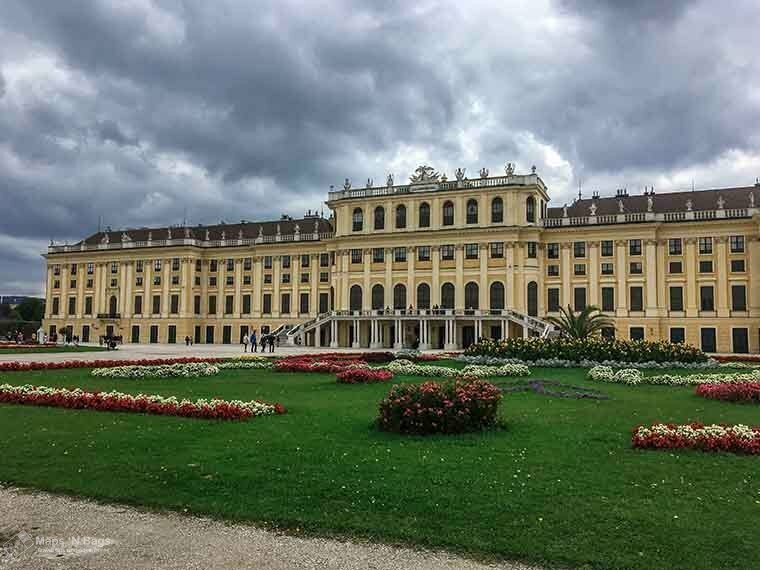 A symbol of Vienna and probably the most visited place in the city, the Schönbrunn Palace was once the Habsburgs’ summer residence and today it’s a Unesco World Heritage. This is a must go in the city! Not only for the palace itself, but also for its garden. 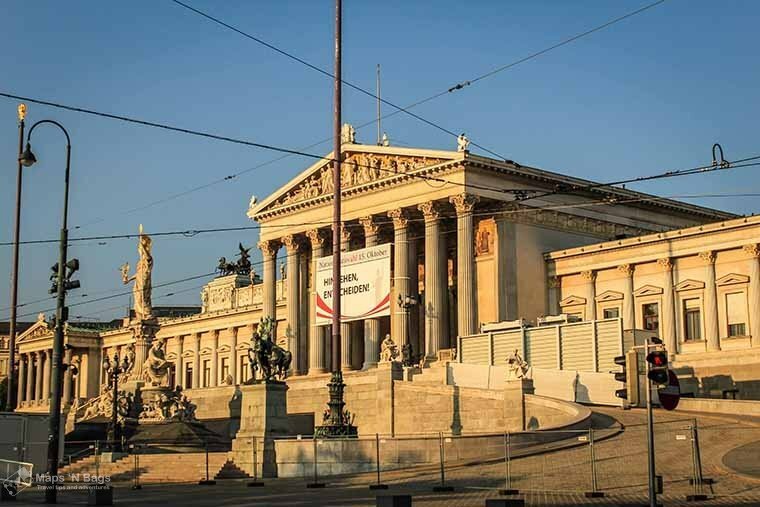 The Gloriette is designed to glorify the Habsburgs’ power, so you can imagine how impressive it is, right? The family that once ruled the Austro-Hungarian empire was one of the most important in Europe (and in the world)! I’d say a couple of hours are enough if you don’t feel like going into the palace, but if you do, reserve a half day for it. One thing is for sure: prepare to walk! The Palace and garden are both huge, so you’re going to wear out your shoes here! Pssst: Spending more time in the country? Check out this Austria itinerary. There is also a panorama train that rides through the gardens if you’re tired. The train costs €7 and it has 9 stops in the gardens, maze, zoo, etc. It might be (it actually is) a good idea to buy the palace’s ticket online to avoid long queues because they do get long. If you’re planning to visit quite some places I really recommend you buy the Vienna Pass because it gives you free entrance and skip-the-line to the main attractions. 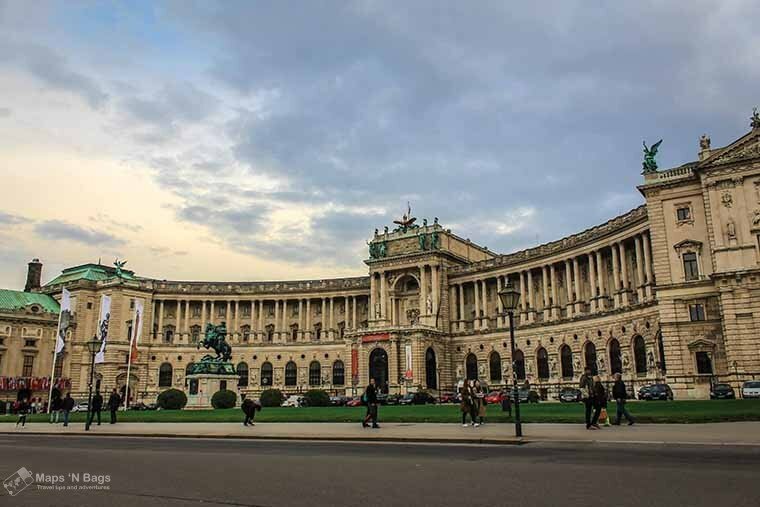 Head to Vienna’s city center. This is really an open-air museum, where you can see beautiful and well preserved old constructions. The architecture here is really special and it’s the perfect scenario for stunning photos! Many buildings have an imperial style, with a very high ceiling on the ground floor, impressive columns and statues. We felt like we were in a giant’s city, for real! In the center you can see the St. Peter’s Church, very cute and photogenic church, and the St. Stephen’s Cathedral. The latter has guided tours to its catacombs and you can climb the 343 steps to the top of the bell tower! Uhuu! 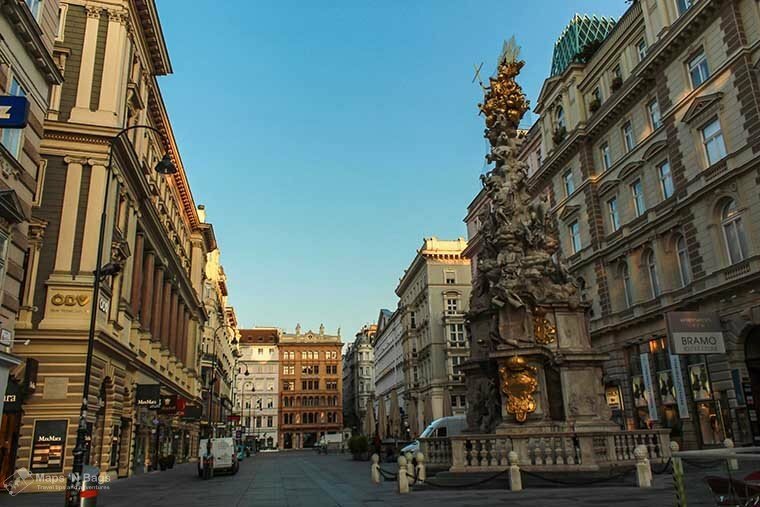 Make your way to the Graben, where you can see the Plague Column, and to the Kärtner Strasse, these are the most important shopping streets in the city. 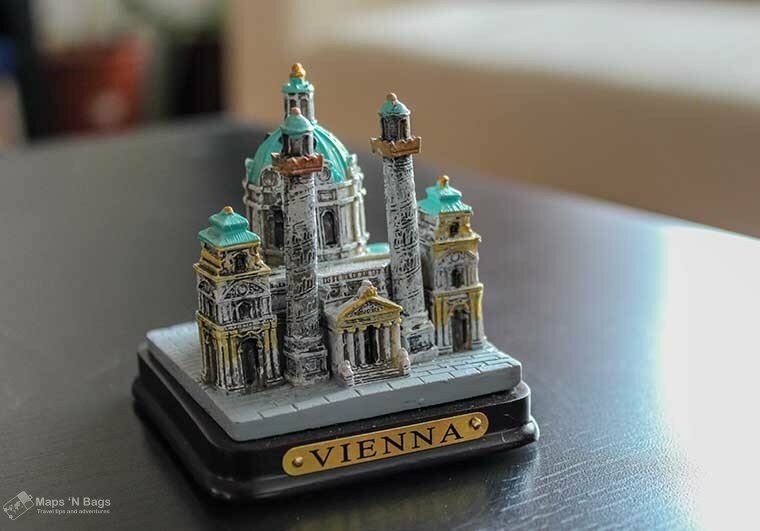 There are many souvenirs stores in this area…yeah, Vienna is expensive, prepare your pocket! I paid – in pain, a lot of pain – 10 euros for a miniature of the St. Charles’ Church. Compared to the other capitals in Europe, I find 10 euros very expensive for a souvenir! But that’s Vienna, expensive and fancy! Would do everything again 🙂 ok, back to the itinerary! Hook south to the Albertinaplatz. 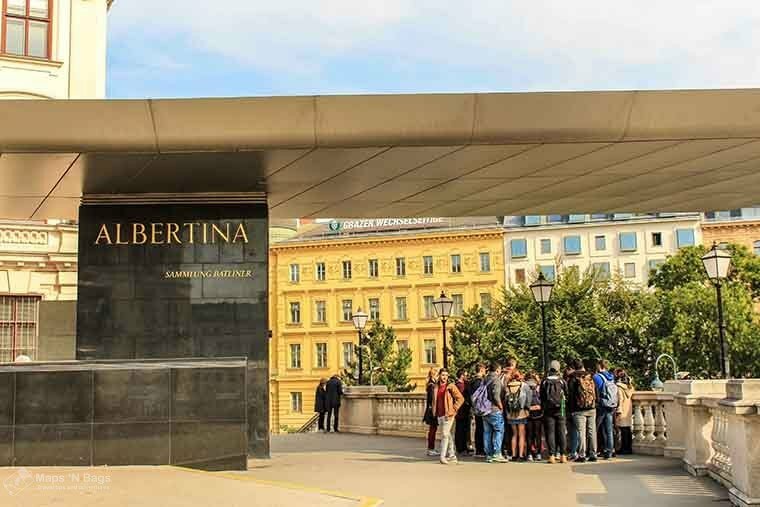 Here you can find the Albertina Museum, a beautiful museum with seven principal collections from the Renaissance to the present day. 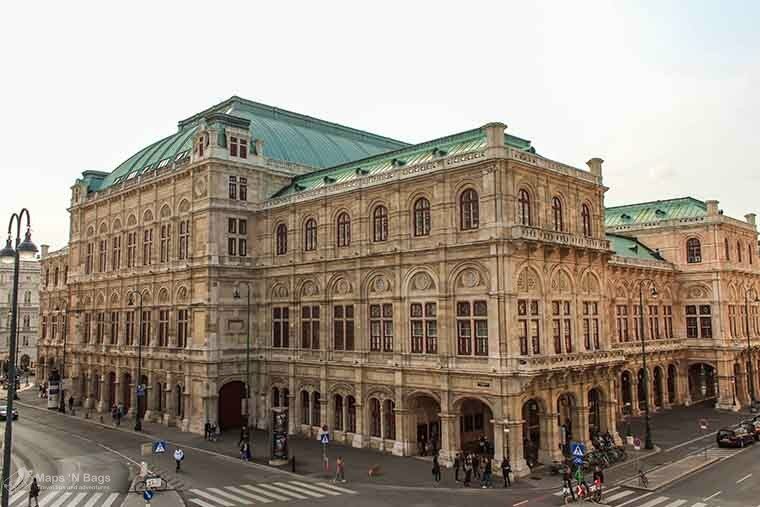 You can also see the Vienna State Opera from the museum. Even if you don’t wanna go inside, the outside is already worth it. By the way, this is one of the most important opera in the world. You can find affordable tickets either to watch a performance or take a tour at the Opera. Well, I said Austria was full of palaces, right? 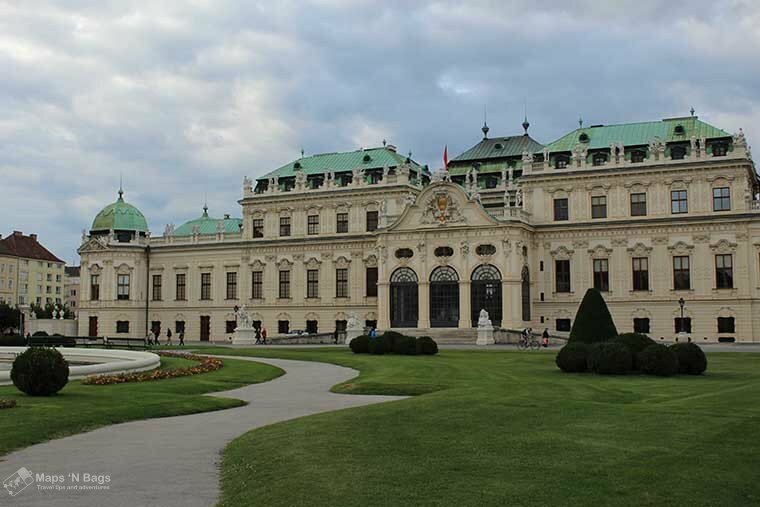 So, here I introduce another one, the Belvedere Palace! This is a baroque palace complex divided by a garden, not so big as the one in the Schönbrunn Palace, but still very very charming! I’m totally crazy about gardens, nature, flowers… Here you can see the world’s largest collection of Gustav Klimt’s paintings in the Upper Belvedere, he was an outstanding Austrian painter. From the palace walk to the St. Charles’s church. This actually depends on which side of the palace you are, if you’re close to the station Quartier Belvedere you should take the metro, otherwise, a walk will do the trick. So, wow, this church deserves a big wow! I didn’t go inside (I was so hungry and I regret not going inside), but my boyfriend and I were totally in love with the outside. This baroque church dates to 1737! 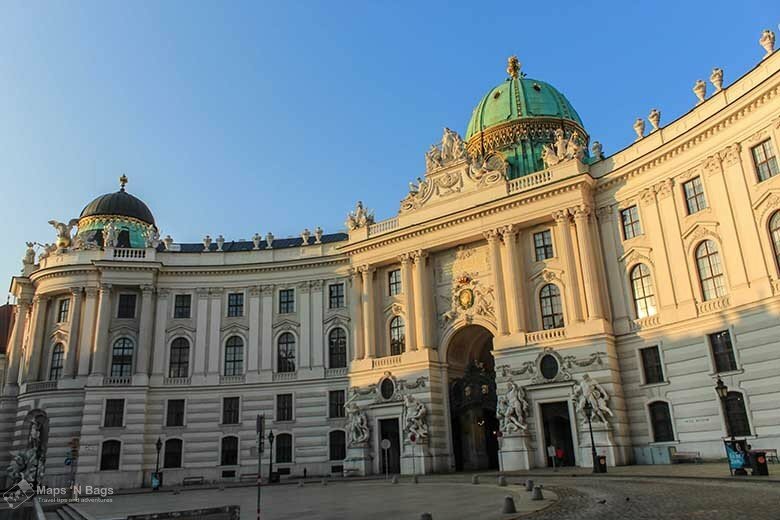 You have noticed that the Austrian capital is stunning, right? 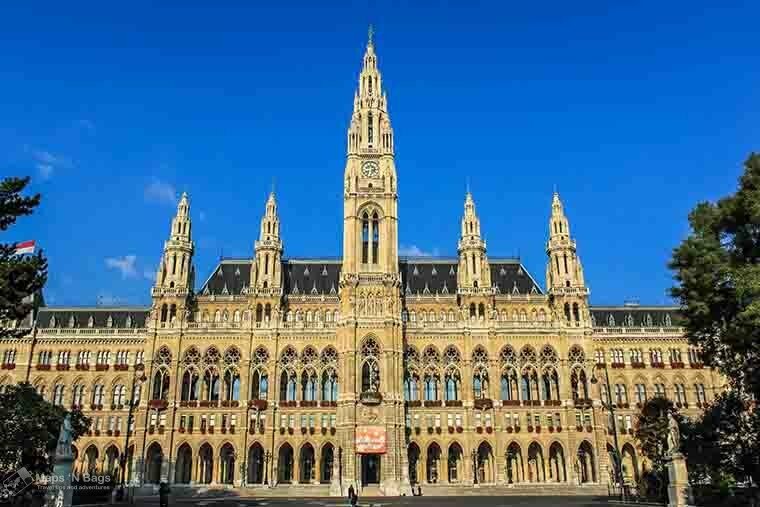 Vienna is not only one of the most beautiful cities in Europe, but it was also named the Most Livable City (for 9 times). Close to the St. Charles’s church is the Naschmarkt, the biggest market in the city! And I can tell you it’s probably the best too! 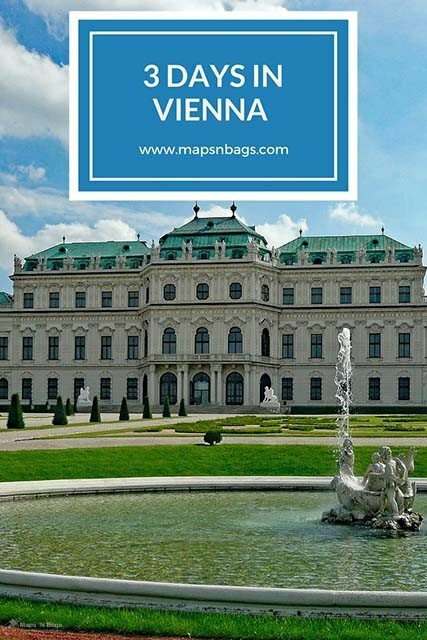 This is one of the best things to do in Vienna, so don’t miss it! There are all sorts of restaurants/ stands from Indian to Brazilian food, and of course, you can also eat the famous schnitzel. There’s even free wifi 🙂 Openings time: Monday to Friday from 06 am to 07:30 pm and Saturday from 06 am to 06 pm. The building is monumental and it’s hard to fit it into one picture given its size (unless you have a wide angle lens). There are very often fairs and events in the square in front of the City Hall so check their website to find something nice to go (I only found the website in German). The Parliament is also beautiful (not like the City Hall, in my opinion). It has a Greek revival style that dates to the 19th century! Kick off day three in the heart of the city! 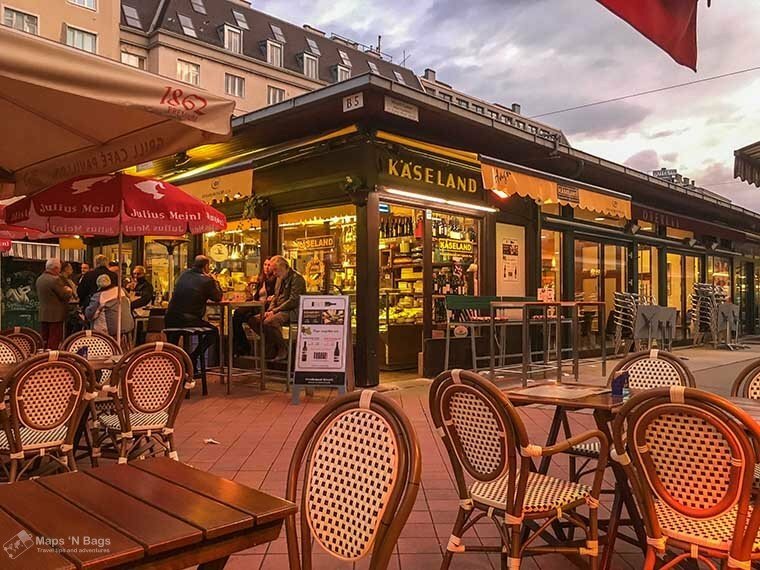 There are a lot of things to do in Vienna’s city center. Really! And the Hofburg is certainly one of them. This palace is one of the biggest palace complexes in the world. This was Habsburgs’ residence until the First World War, 1918. There you can find the Sisi Museum, the Imperial Apartments, and the Silver Collection. 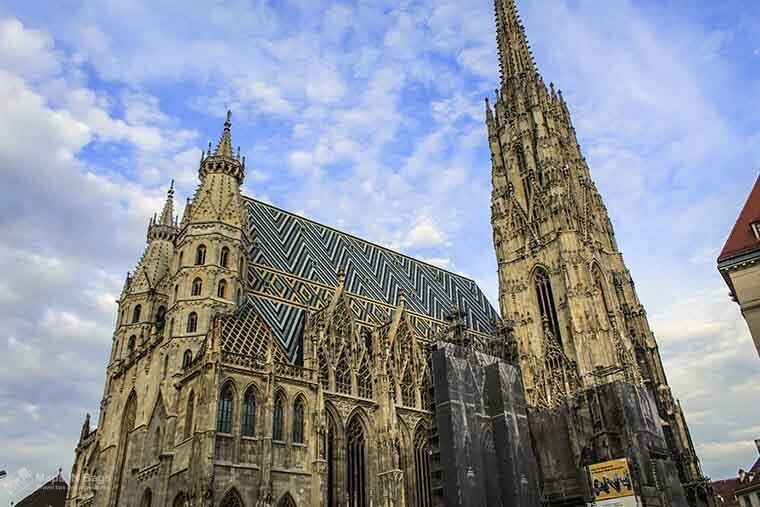 It’s an incredible construction, also a must during a visit to Vienna. To see everything without rushing you need around 3 hours. If you just don’t want to see everything, I’d choose the Sisi Museum. This is the most visited of the three, they’re all included in the price, €13,90 including an audio guide. You can also buy a Sisi Ticket, it gives access to the Hofburg, Schönbrunn Palace and Imperial Furniture Collection, €29,90. In front of the Hofburg there is the Heroes’ Square (Heldenplatz), here you can find the National Library (I’ve seen photos of it after we went to Vienna and I totally regret not looking for it earlier). Head to the museum quarter! There you can find many art attractions, such as The Museum of Modern Art, Leopold Museum, Zoom Kids Museum, some art galleries and right next to it the Museum of Art History and the Natural History Museum. Yeah, a lot of things to see, guys! Entertainment for all tastes and ages! The favorites are the Mumok, showcasing pop art, photorealism and classical modern art, and the Leopold Museum, art nouveau and modern art, including Gustav Klimt. I’m writing a special post, Vienna Museum’s guide, as soon as it is ready I’ll post here, guys! 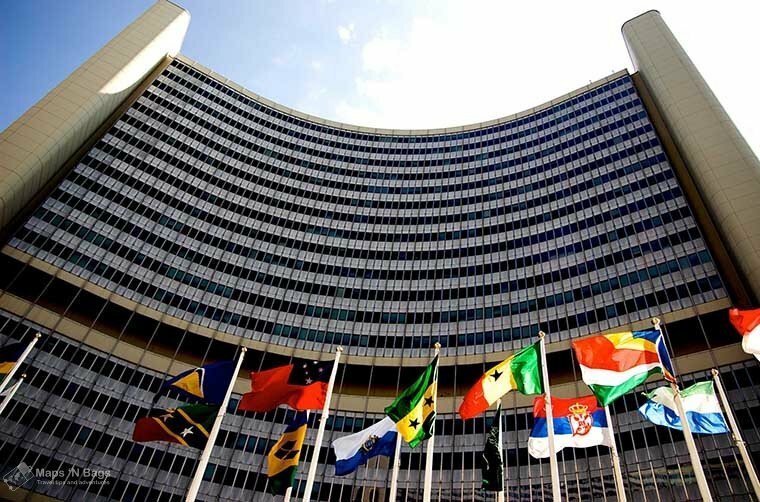 You can visit one of the United Nations’ headquarters in Vienna and understand a bit more of their work around the world! I’ve never heard from people who have been there that it wasn’t worth their time! Tours are offered in English and German at specific times from Monday to Friday. No reservation is required, but there is an extensive security check, so arrive early. Don’t forget your passport and money, they don’t accept cards. Prices vary by age, so check the UN website for more information. 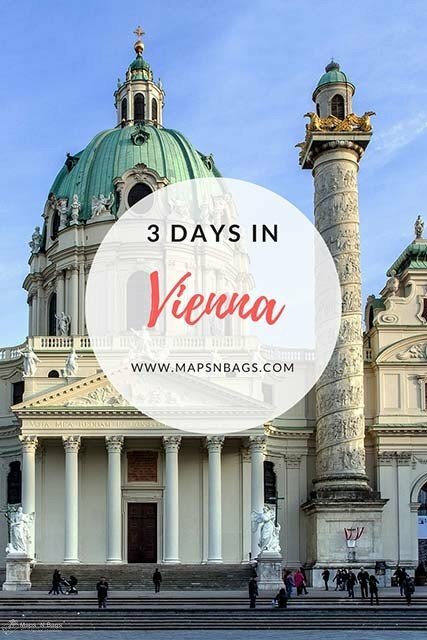 When to go to Vienna? Regardless the chilly weather spring and fall are the best seasons to visit Vienna. The tourism isn’t at full power yet, neither are the price rates and the weather isn’t that cold. 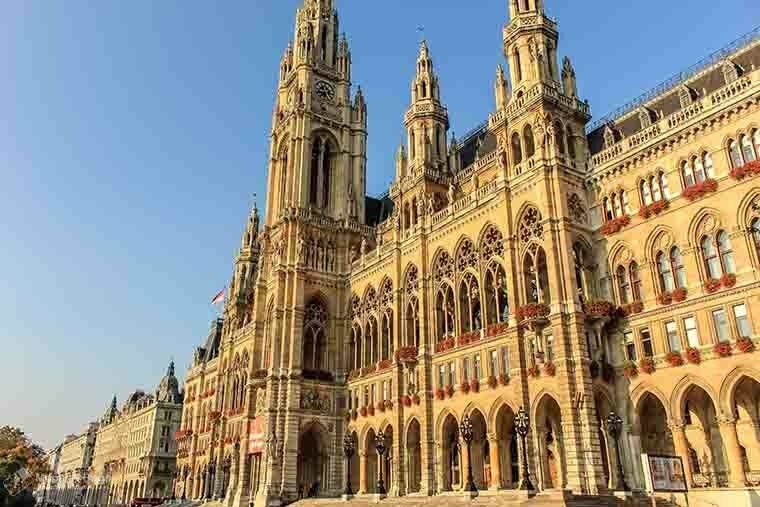 If you would like to visit more European cities, but you’re short on time, a day trip from Vienna would be perfect. We went on a day trip from Bratislava, and it was very pleasant. Have you ever been to Vienna? Or you going to use this itinerary there? Either way, I would love to read about your experience in the city! Share your tips in the comments. Did you like this post? 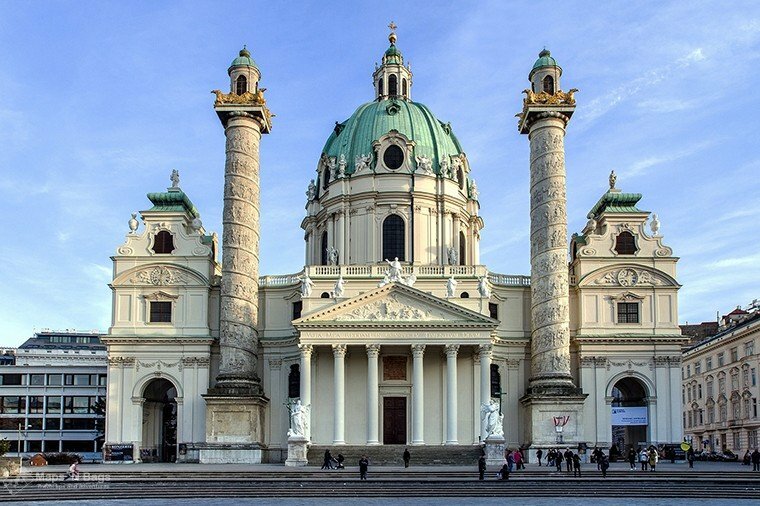 Do you want to visit Vienna, but you’re not going yet? Pin this post so you can find it easily later! 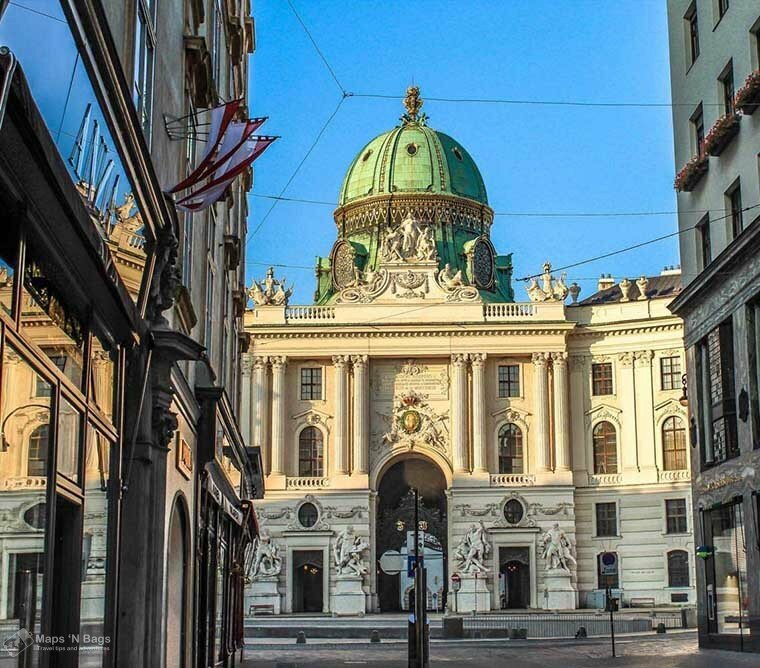 This entry was posted in Austria and tagged Citytrip, Itinerary.